An experienced progressive rock collectors will know about this excellent group from Aachen, which can arguably be dubbed the German Jethro Tull. 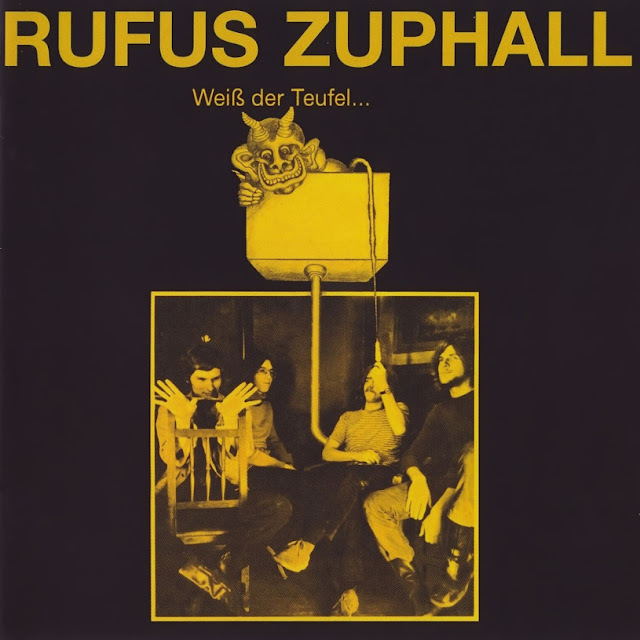 Rufus Zuphall's first album Weiss Der Teufel has gradually gained legendary status. It was recorded in the Netherlands and released as a private pressing in 1971. The crew that recorded this stunning garage rocker with Erich Engels (percussion on one track). All five tracks were recorded live in the studio, resulting in a raw and unpolished sound. 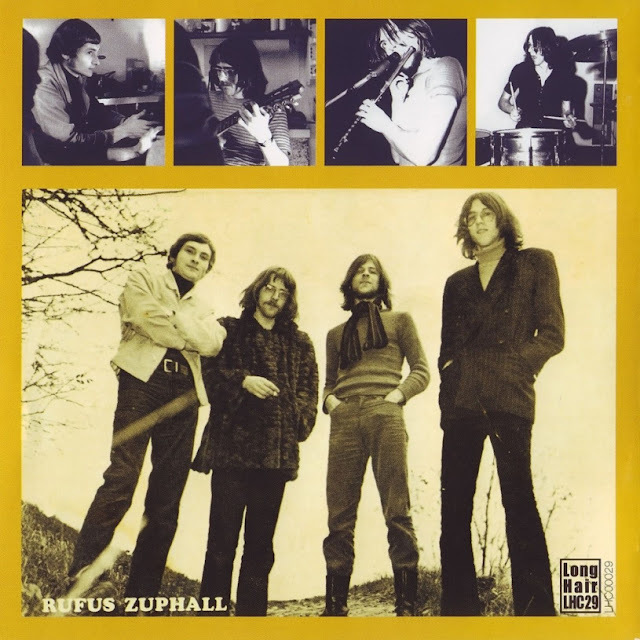 Just like Jethro Tull, Rufus Zuphall drew influences from both folk and the blues. The side-long title track "Weiss Der Teufel" incorporated the old Gerschwin-standard "Summertime". This developed into a very twisted and frenetic flute solo! Some people regard this track as one of the finest moments of German rock. (Note: two other interesting versions of "Summertime" have been recorded. The Zombies did a charming, jazzy beat version in 1966 and the Dutch group Brainbox, featuring Jan Akkerman on guitar, released a more progressive interpretation in 1969.) Other great tracks were "Knight Of Third Degree", in a peaceful, folky mood with massive percussion, and "Freitag", featuring one of the most raucious guitar breaks of German rock! Weiss Der Teufel is a great album, typifying the raw-edged, largely instrumental early progressive rock. Their next album Phallobst (recorded in the Dierks Studio from July to August 1971) featured new members Thomas Kittel and Manfred Spangenberg. This album was more polished and had a wider dynamic and instrumental range (mellotron, clavinet and acoustic guitars were added). Particularly strong was the album's second side with two fine instrumentals: "Prickel Prit", strongly flavoured by the blues, and "Makrojel" electric folk-rock with flute to the fore. "I'm On My Way" closed the album in a quiet way. In 1989 Little Wing re-issued the first Rufus Zuphall album in a magnificent new cover design. But still more exciting was their 4 LP box (+ large booklet and a bonus single) of 1994 with Phallobst and lots of previously unreleased material, comprising a complete concert from June 1972, demos for their unreleased third album and a couple of tracks recorded prior to Weiss Der Teufel. The quality of the recordings were generally good and this set is indispensable for Rufus Zuphall fans! bonus tracks: "Farewell! Live Aachen 1972 Part 1 "